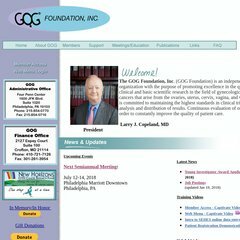 Topics: Giving/support, Gog Tissue Bank Applications, & New Employment Opportunity Posted. The programming language environment is ASP.NET. It is hosted by Nysernet-university Of Buffalo (New York, Buffalo,) using Microsoft-IIS/6 web server.